As a medium-sized or small enterprise, you find yourself eye to eye with competitors on the other side of the globe. New digital technologies and the rapidly growing e-commerce put pressure on your company. Everything has to be faster, cheaper and more sustainable. How can your company make the difference for your customers? How can you align your internal processes with their changing needs? How can you keep your SME competitive and with a healthy profitability? V-Chain, located in Luxembourg, offers powerful solutions to these challenges. With the focus on your processes, and a versatile ERP system as the foundation. ERP is the backbone of your SME business. Integrated processes ensure greater efficiency, more flexibility and better customer service. Ecosystems are the key to success. 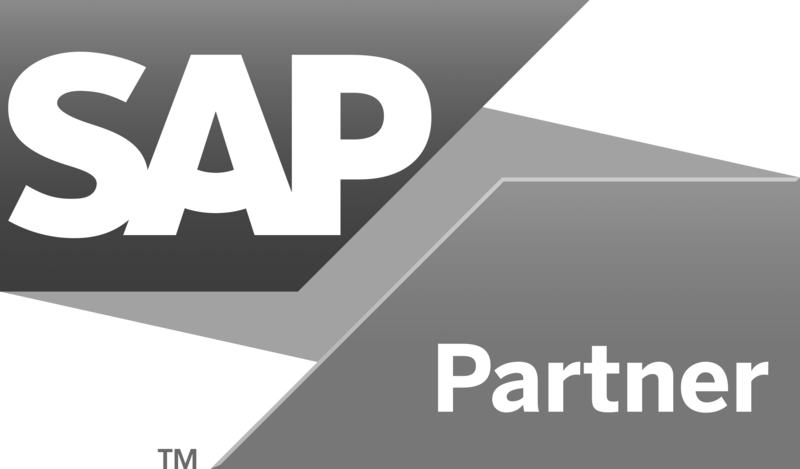 As an SME, it is in your interest to integrate your ERP with the systems of partners and customers. Electronic exchange of information with your ecosystem encourages you to standardise your processes. This makes them more efficient, more manageable and more cost-effective. SMEs must embrace new digital technologies. Your customers are looking for information and suppliers in new ways. Without a digital strategy, you risk losing market share. Digital technology improves the customer experience, optimises operational processes and helps you introduce new business models. Project management is the organization, planning and control of projects. It enables you to identify and controls risk, and manage change. It ensures that project knowledge is captured and managed, and that lessons are learnt from success and failure. V-Chain optimises business processes and workflows in SMEs. We build solid solutions based on SAP All-in-One, S/4HANA, Cloud ERP and SAP Business One. Maximize the return on your SAP investment. Ready-to-use cloud solutions relying on SAP Business One and S/4HANA, allowing you to optimize IT costs and reduce landscape complexity. Both solutions support Luxembourg legal requirements (PCN, VAT declaration) and eSolutions (eTVA, eCDF, STATEC, FAIA). Optimize your business processes. V-Chain has a comprehensive knowledge of business processes and challenges in many areas and sectors, including supply chain, sales & distribution and public sector. We analyse your processes and propose optimizations in order to reduce bottlenecks and inefficiencies, decrease costs and improve company performance. Efficiently manage your projects. V-Chain project managers put your SAP and non-SAP projects on the right roads. We strongly believe in the agile methodology as an effective approach in a rapidly changing business environment. Increase user productivity. User experience (UX) influences user productivity, and therefore the return on your SAP investment. UX is about ergonomics: is the application intuitive, can the user easily find what he is looking for, is the information accessible anywhere, anytime? V-Chain offers UX expert and technical knowledge in SAP Fiori, Screen Personas, Mobile Platform, NetWeaver Business Client, Adobe Interactive Forms and NetWeaver Portal. We help you make strategic choices, draw up a roadmap, and execute projects from design to realisation. The V-Chain team brings together 22 experts in SAP consultancy. The Luxembourg site opened in the autumn of 2014. In January 2016, the Belgian branch of V-Chain was set up. The V-Chain experts have on average ten years of experience in at least one of our focus areas. We believe firmly in technology specialists who have the process knowledge to accelerate the return on an IT investment, and in business experts with a feeling for how technology can help their company perform better. Philippe Hamtiaux is in charge of V-Chain in Luxembourg. Philippe has +15 years of expertise as a company director and is well acquainted with the business challenges in many sectors. In 2005, he was in charge of another start-up: together with a couple of partners, he founded E-Chain Management in Luxembourg and developed it into a consultancy business and SAP partner with +100 employees. V-Chain is associated with Gumption. As a business xcelerator, Gumption supports young, independent niche players in the consultancy business. Its members share a common vision and set of values, and offer complementary competences and solutions. Together, the Gumption companies have +350 collaborators.